Christmas and New Year will soon be upon us, which means the time to look in the mirror and swear that this year we really will get in shape will soon be here, too. 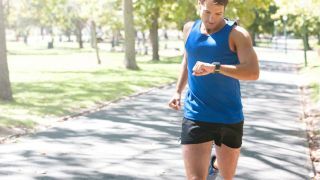 Google is hoping to capitalise on our collective self-delusion by updating its Google Fit app to include new features and integrations, making it a more compelling fitness solution. If strength training is your thing, Google will now use your Android Wear device to count every single one of your sit-ups, push-ups, and squats, and save it all in the Fit app. For runners, walkers and cyclists, Google Fit now lets you see real-time stats for your runs, walks and rides on your phone, while it records your speed, pace, route, and elevation. And as Recovery is an important and often overlooked part of any fitness regime, Google Fit now integrates with a collection of nutrition and sleep-tracking apps to help you complement your perfect workout with perfect sleeping and eating habits – less apple pies and more apples. The new strength training and cardio functionality are available now via Google Fit's latest software update. Google says the nutrition and sleep-tracking app integration will roll out over the next few days.